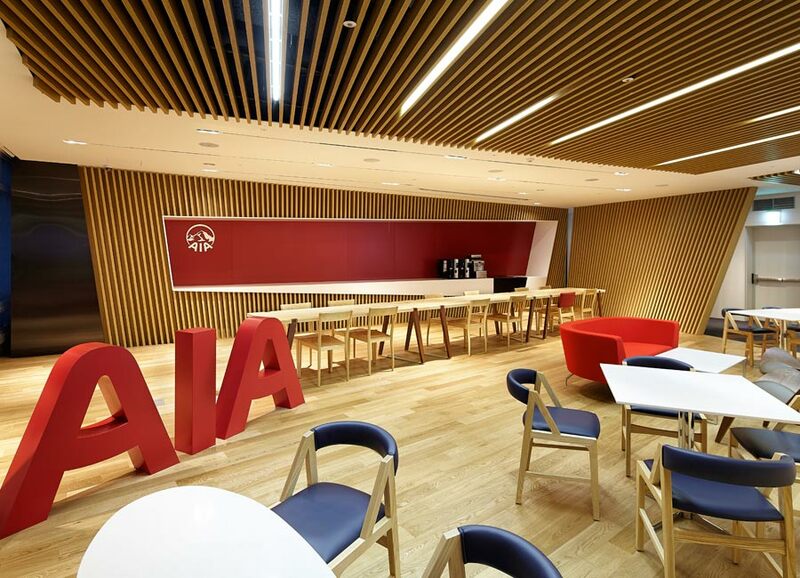 The new design of Steven Leach Group for the AIA Insurance office in Seoul reflects their vision of leadership under a modern corporate brand. 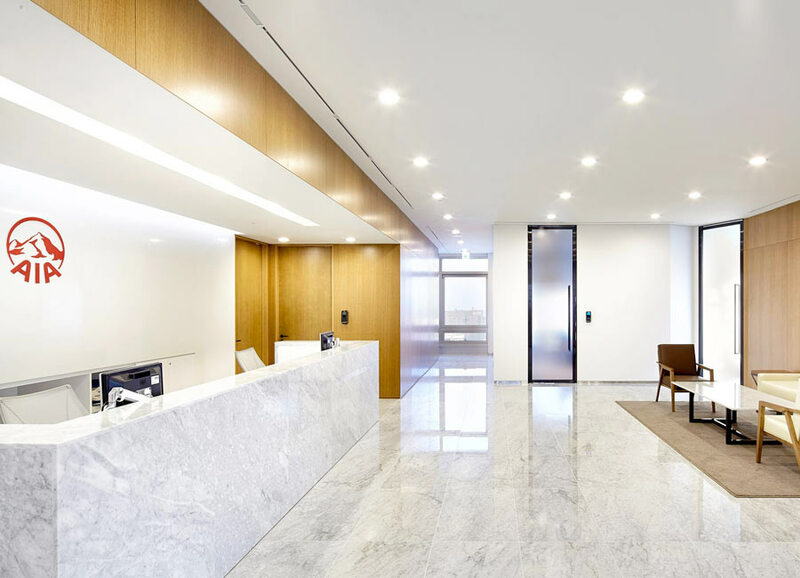 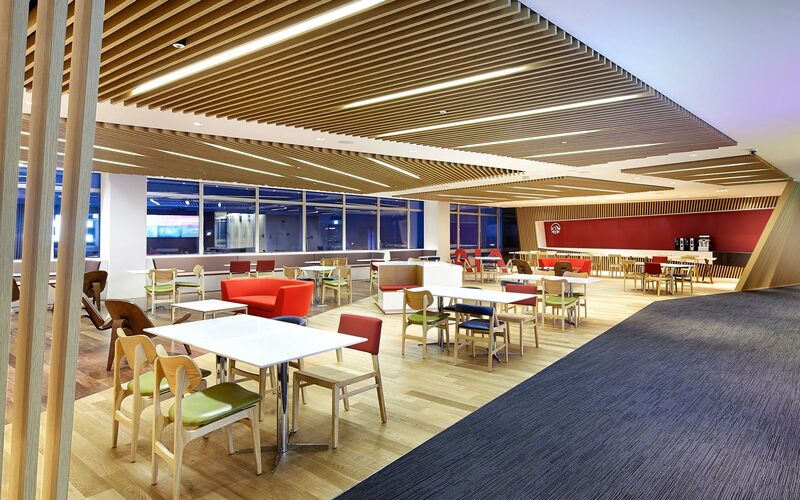 The use of strong diagonal lines throughout the space, along with a rich timber finish, a neutral color scheme, accented with their corporate colors, give the space a strong character. 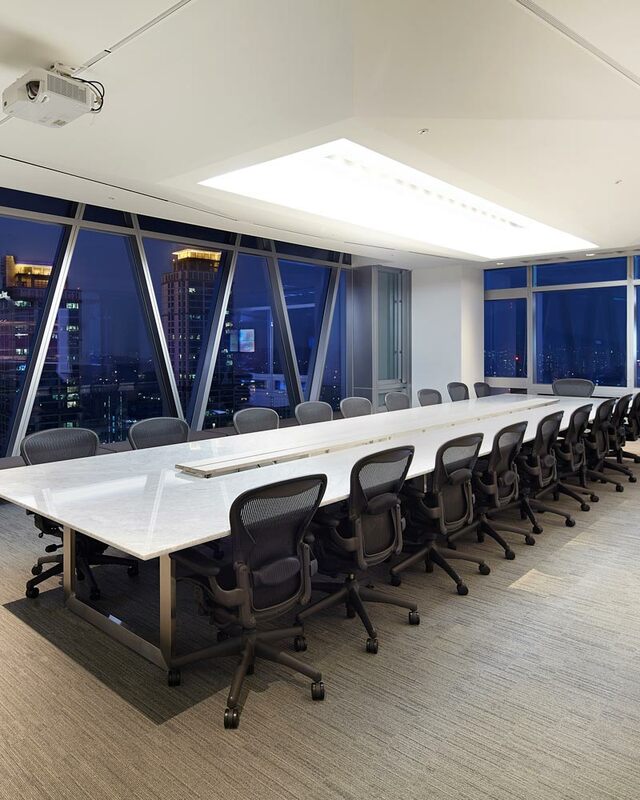 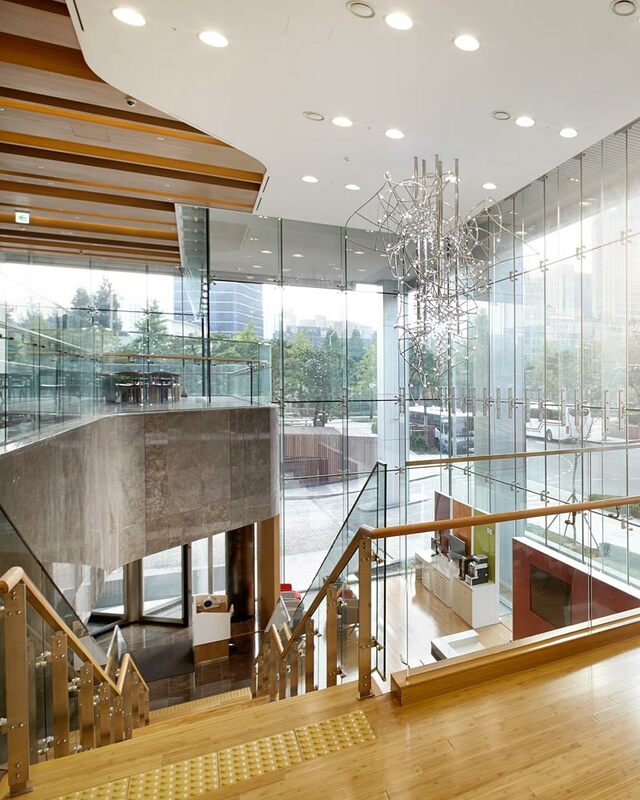 AIA Insurance occupied six floors in the high-end 35 level office tower. 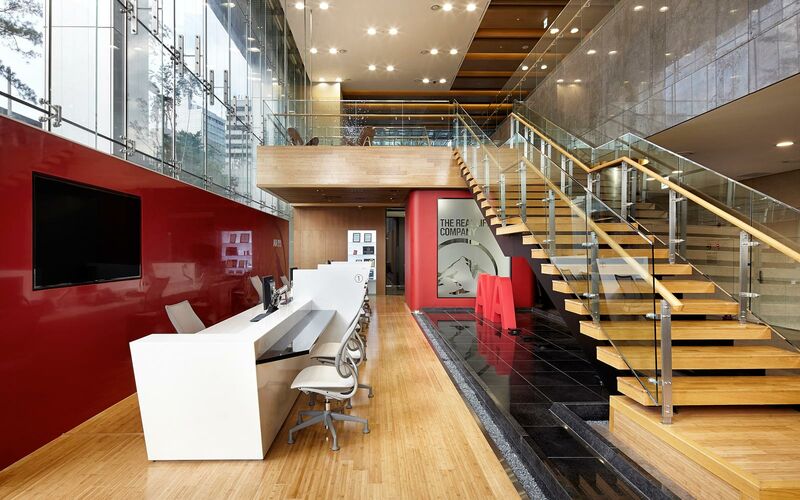 Its reception is friendly and reflects a strong corporate image with the history of AIA in the background.